Recently a reader raised a great question. 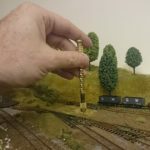 What to do with track offcuts? I’ve been chatting to Josephine via email since for a while but her most recent email had me thinking. “I have laid out the circuit with points pinned firmly in final place, taking these as my starting position and running full lengths away from each exit. Continuing until the track is virtually in place, I can now see where curves will need essential soldering rather than trusting joiners, but also shows me there will be off cuts of varying length. Clearly these are not to be wasted as there will be several reusable feet but in lengths, anything from 2” to 12”. How do modellers utilise these, or tackle the overlapping track question? What a great question. Track isn’t cheap yet there’s always bits left over when you’ve cut it to size, what’s a good use for it? Personally, I typically just store away offcuts for potential use in the future. 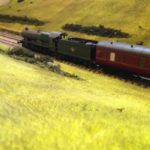 On my current layout for example, I have a stretch of track running into the loading of the canal goods yard. The usual track lengths fall an inch short of the bay. (I’m not sure how I miscalculated the distance but anyway a gap there was). Delving into my track spares box revealed an old offcut that was perfect to bridge the gap from the end of the Peco straight and the gap in the model where the track should run too. A quick tidy up of the rail ends and two rail joiners later and the wagons can now bought up snug for loading and unloading. 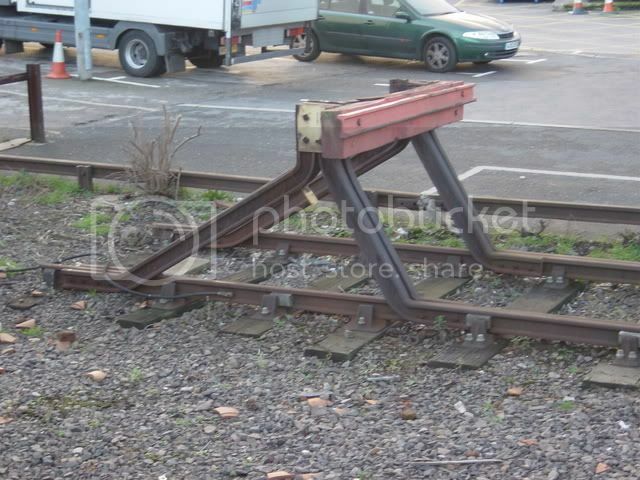 Alternatively, the rails and sleepers can be separated and used around the layout as trackside debris. A bit of weathering to add rust effects and they look great. I’ve talked about trackside debris before if you’re interested. That’s what I do with my rail offcuts, what do you do with yours? 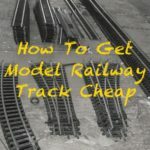 I’ve used track off cuts as fencing, painted brown or silver & weathered with scenic materials. Mounted on the sides so they’re standing vertical. Look very effective on my layout. I’ve not heard of that use before Andy, but it’s a good idea! Very original. Also used offcuts & recycled into yard gates with a matchstick glued diagonally across the back surface to create a crossmember. Then Glued outer edge to a small dowel rod, inserted into a drilled hole makes your hinge for opening/closing. I just read the comments from Josephine and there was one little reference to track soldering. I’ve been meaning to ask about this. 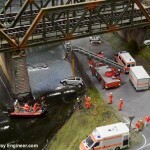 I only started modeling 9 months ago and my track is settling down, but I keep getting stoppages. I free up the fish plates over and over again, then I thought, why not solder the track. But then there’s expansion to contend with. To solder or not to solder that is the question. I would really like your view on this subject. I’d certainly recommend soldering the rails together, it’ll give a much better connection for the electricity to flow across and rail stability over time. Expansion… interesting question and I’ll do a post on it shortly. 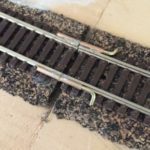 You only need to leave a tiny gap ever so often, not at every join and if you solder the wires to the rails either side of the join you shouldn’t have problem with stoppages, assuming they are caused by electrical problems? Is your layout in an area where temperature changes dramatically? Lengths of rail were often used as pavement kerbs outside railway stations; there is a good example in the station approach, on the up-side, at Bexleyheath, Kent. I’m in the process of building a new layout and will be incorporating this feature at least once. I’ve been through Bexleyheath a number of times and can’t believe I haven’t noticed that! You could make buffer stops out of the rail offcuts.